Find trick water skis from some of the best brands in the industry. Trick skis are a staple of the 3-event, they comes in multiple sizes ranging from 39 to 46 inches long. 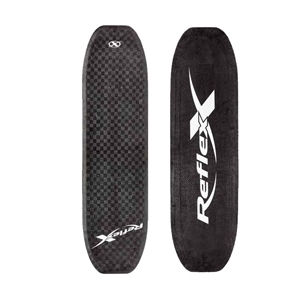 Trick Skis are available from Radar, D3 Skis, Reflex, and Quantum from Masterline. Different types of trick skis include rubber-edge trick skis or a hard edge trick ski. Hands only or toes only or both hand and toes are options on the handle for this discipline. All of our Trick Skis qualify for free ground shipping in the continental US.